Nearly 400 illuminated lanterns in the Van lake area (Hanoi) create beautiful images, shimmering color attracts the attention of people and visitors. On the occasion of Mid-Autumn Festival 2018, Van Mieu - Quoc Tu Giam Cultural and Science Center (Hanoi) organized a series of experiments "Memories of the Moon", held from 21 to 23.9 in Van lake area. 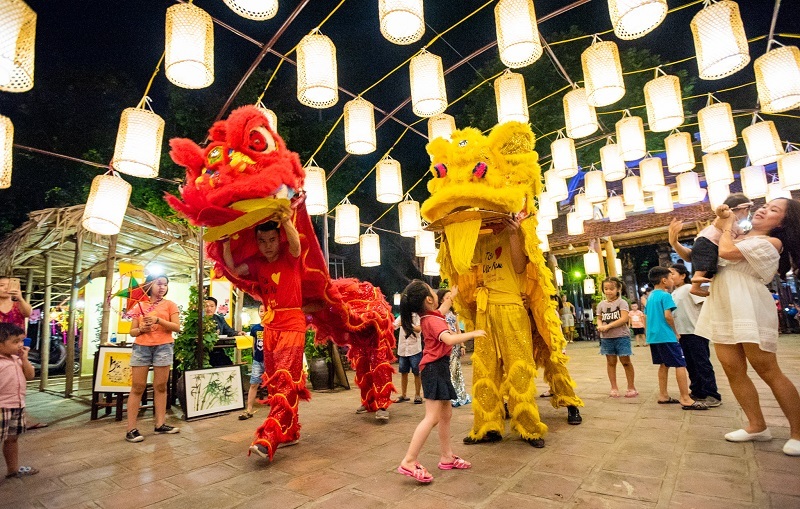 The highlight of the festival is 400 colorful lanterns lit up all over. "Memory of the moon" is one of the programs in the series of cultural education, heritage is held regularly in Van Lake - Van Mieu 400 lanterns illuminated with many special items to attract the attention of the children, especially the young. 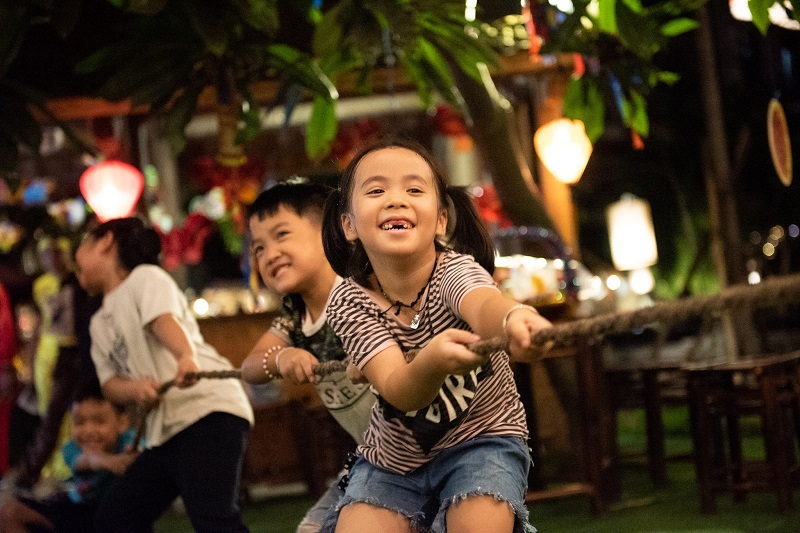 Games that are reminiscent of childhood memories, such as tug-of-war, O An Quan, Rong Ran Len May, or star lamps, are also on display. Hundreds of lanterns are lit from 18 to 22 hours. Visitors can take pictures and admire the lantern by the artisans themselves on 2 days 21 and 22. 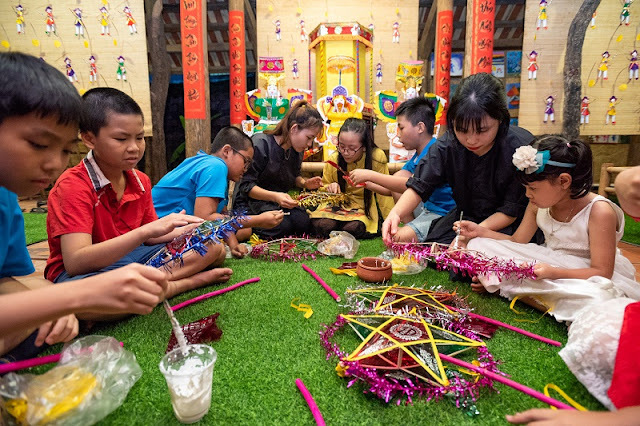 Classes make Mid-autumn toys by folk artisans dedicated to children also appear here. Baby can make his own moonlight, moon cake, painted paper mask right at the booth. 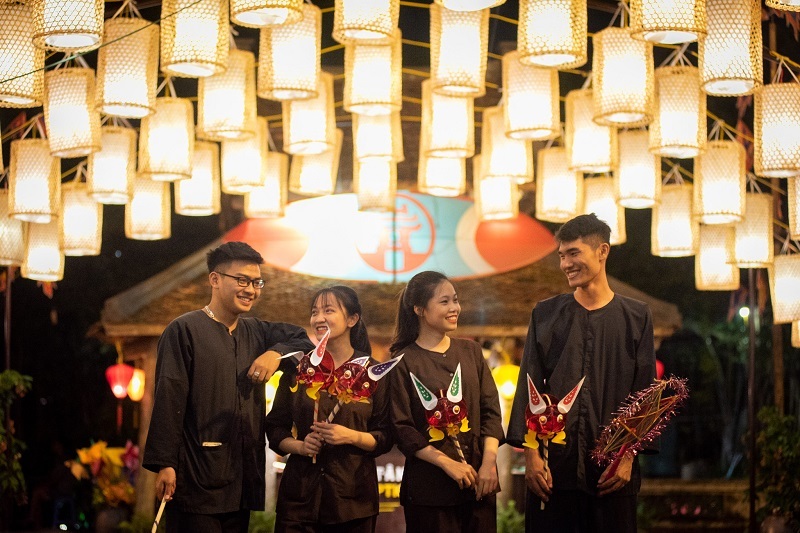 The organizers said that this is the event creating traditional space meaning for both adults and children, reminiscent of the traditional mid-autumn festival.